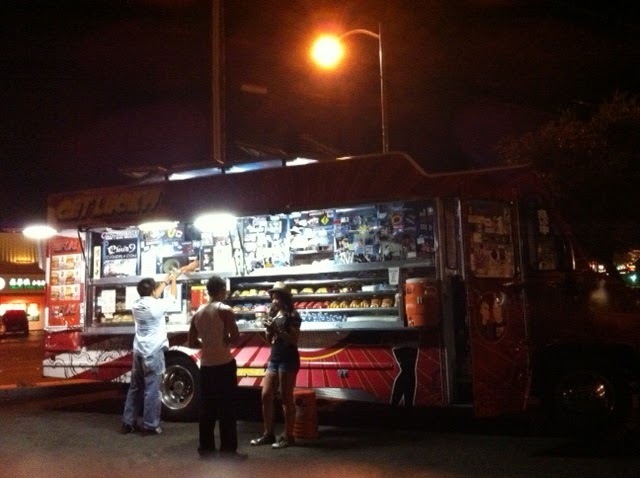 Fuku Burger is one of more popular trucks in Las Vegas. Somehow I hadn’t tried them until last weekend. For some reason their menu never seemed to have anything I wanted, but then I wised up and went for it. I had been working night shift and some of the media at the World Series of Poker (yes Eric, you got a shout out on my blog) said they were going to Fuku Burger. I obviously instantly invited myself to go along! Fuku parks in China Town on Friday and Saturday nights from 8 to late night. 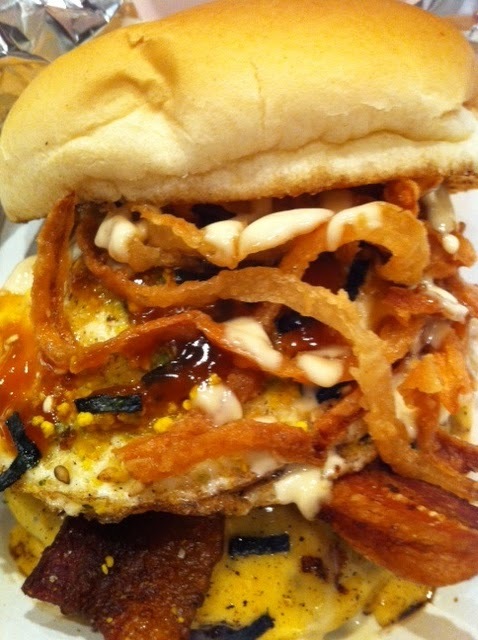 Fuku Burger does asian style burgers and they do them very well! 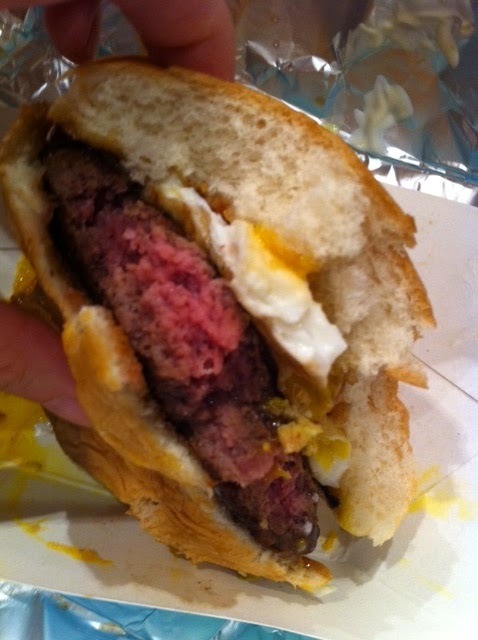 I got the Tamago burger. It has their burger patty, a fried egg, crispy onions, teriyaki sauce and another sauce that was awesome and I don’t know the name of. 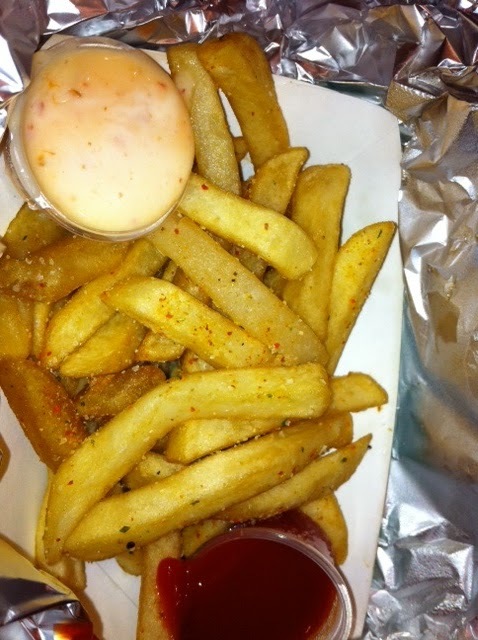 I got their fries, which come with a sauce similar to a sushi roll sauce and it was YUMMY! One of my friends got the ButaBurger which also looked awesome (yes I made him let me take a pic of his food). 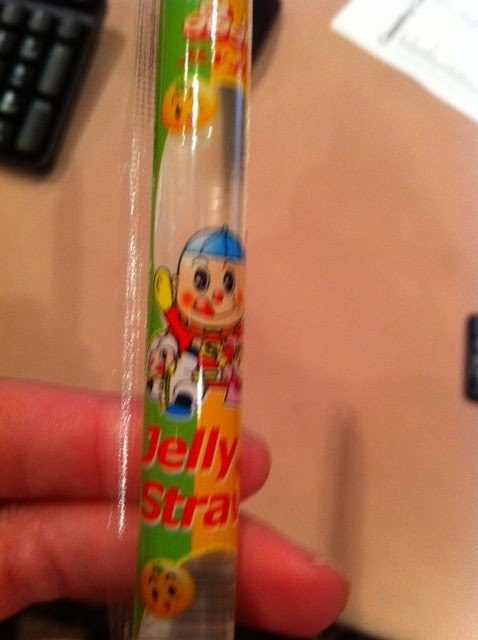 When you leave a tip, they give you tip jelly. I didn’t try it, maybe one day I’ll muster up the courage. 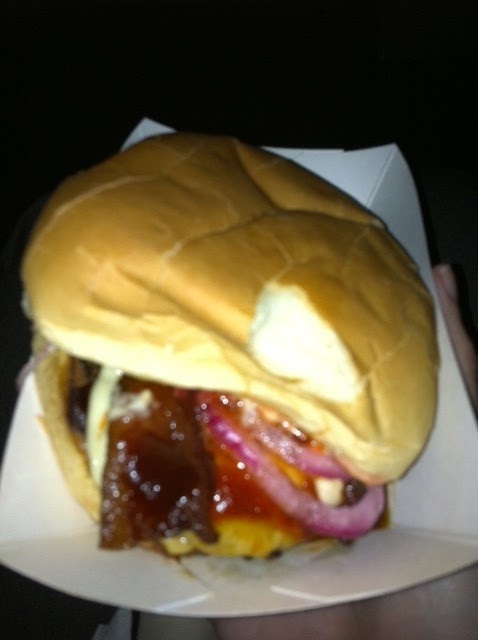 I loved my first experience at Fuku Burger, I went back the next night. Yes I have a food truck obsession, but really the food was JUST THAT GOOD! This time I changed it up a lil bit, but only just a lil bit. I got the Tamago Burger again, buttttt I added cheese and bacon to it! OMG AMAZING! This burger is a must eat. It was unbelievable good. I also had the fries again and their homemade (i think) strawberry lemonade, which is sooo sooo good! Fuku Burger is a must try! If you see them around Vegas, definitely stop. And you can check out their website here to get their weekly schedule.